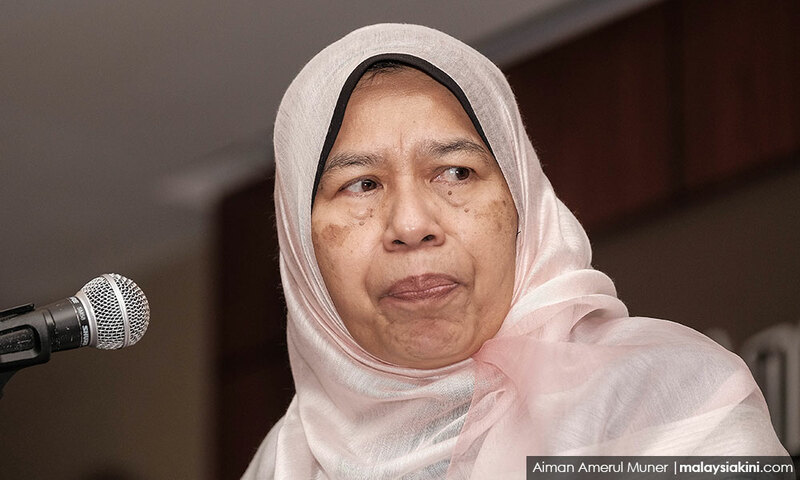 Housing and Local Government Minister Zuraida Kamaruddin denied being a graduate of the National University of Singapore, in the wake of claims that she had falsified her qualifications from the institute. Defence Minister Mohamad Sabu also denied having fake academic qualifications, saying he had actually been expelled as a student. Johor Menteri Besar Osman Sapian refused to answer when asked whether his degree from Universiti Putra Malaysia was fake. PAS president Abdul Hadi Awang's withdrawal of his defamation suit against whistleblower site Sarawak Report is not an admission of guilt, said party secretary-general Takiyuddin Hassan. PAS central committee member Nik Abduh Nik Aziz believes the RM90 million scandal was revived to counter the PAS-Umno alliance. A former Umno MP was arrested by the MACC over alleged bribes in a Felda deal. A Malaysian government vessel was involved in an accident with a Greek vessel in disputed waters between Malaysia and Singapore. Several banners with racial slurs and vulgarities seemingly aimed at Finance Minister Lim Guan Eng were seen in George Town. MCA questioned the impartiality of the Attorney-General's Chambers after a circular with a 'reminder' from the prime minister was allegedly issued by solicitor-general III Mohamad Hanafiah Zakaria. Bersatu Youth chief Syed Saddiq Syed Abdul Rahman goes to the ground in Semenyih. Umno Youth and PAS Youth will also have a friendly futsal match in the constituency.